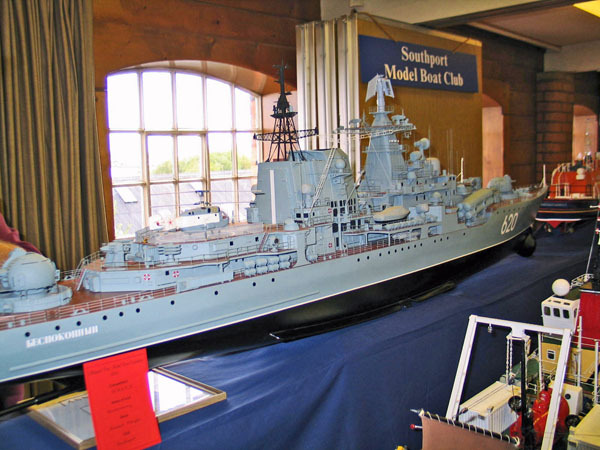 Dave Wooley sent in these photos of this Sovremenny seen at the 05 Ellesmere Port Convention. 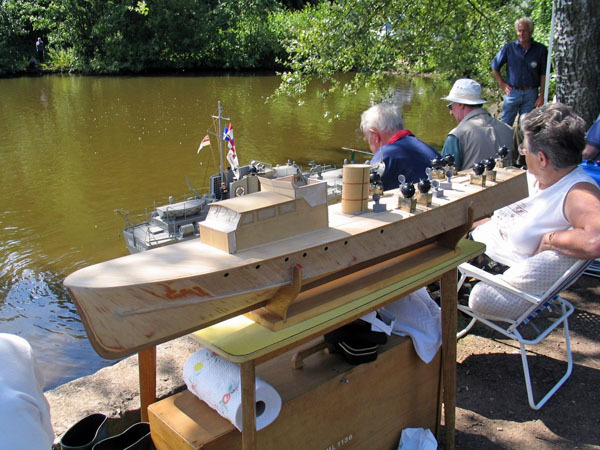 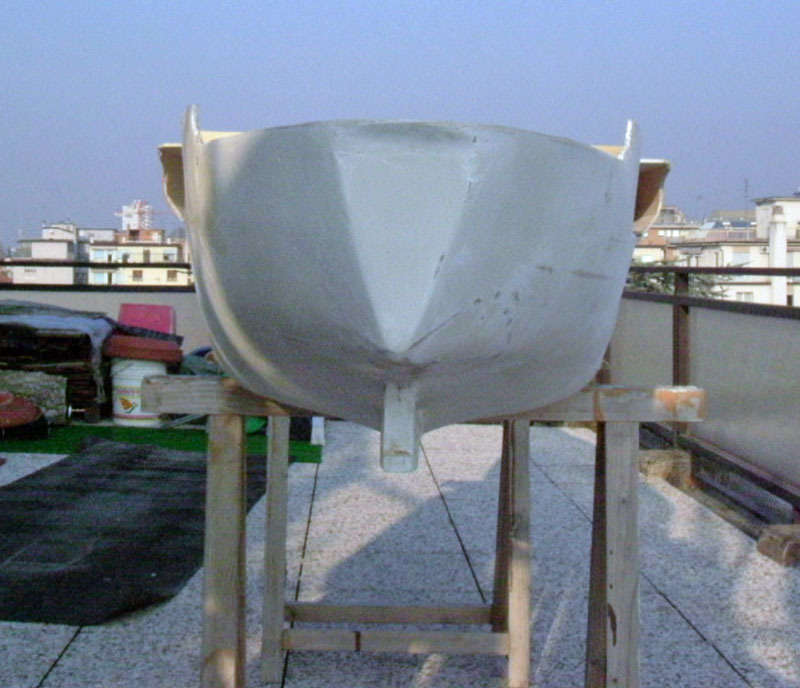 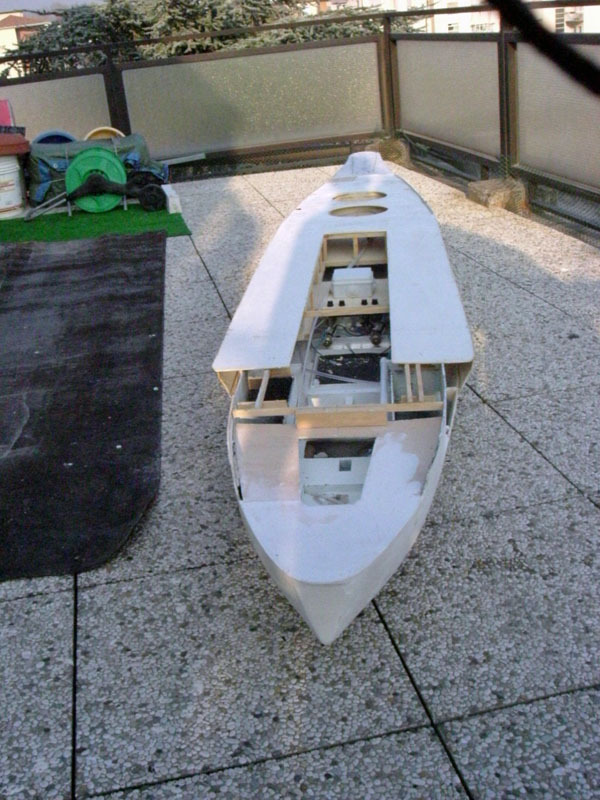 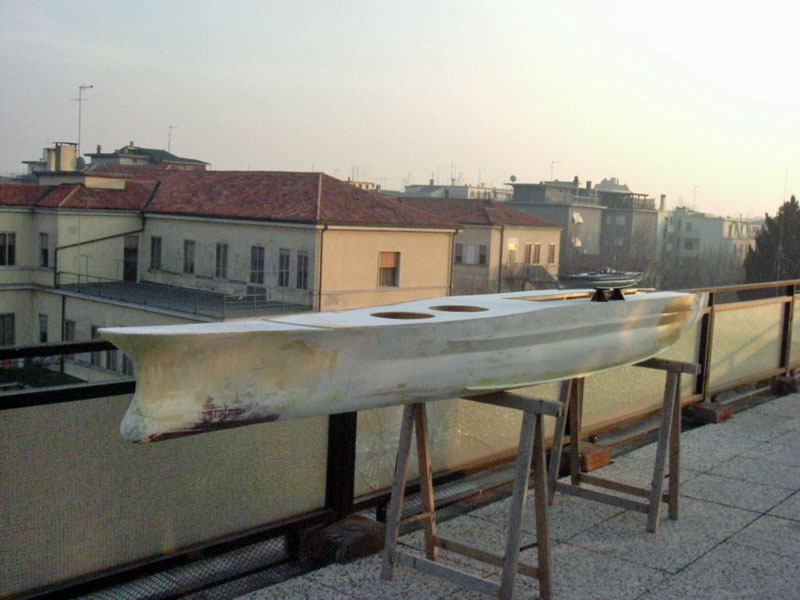 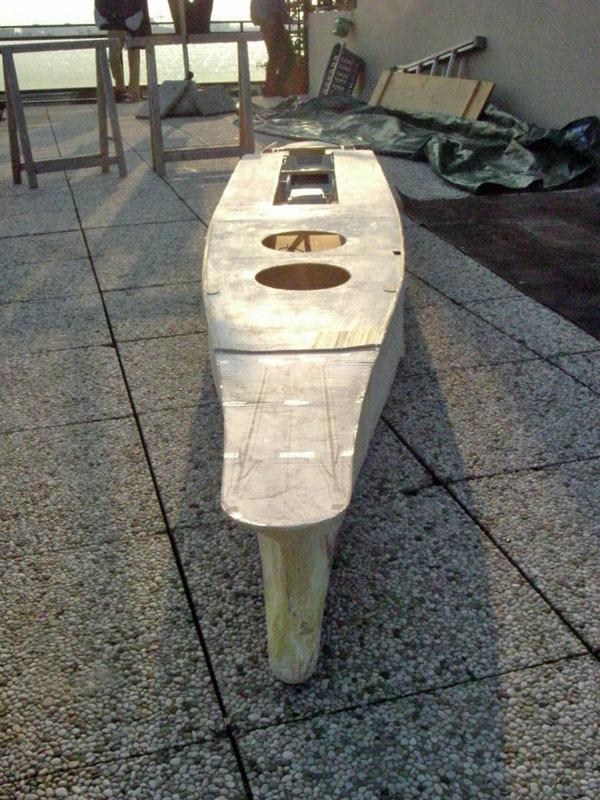 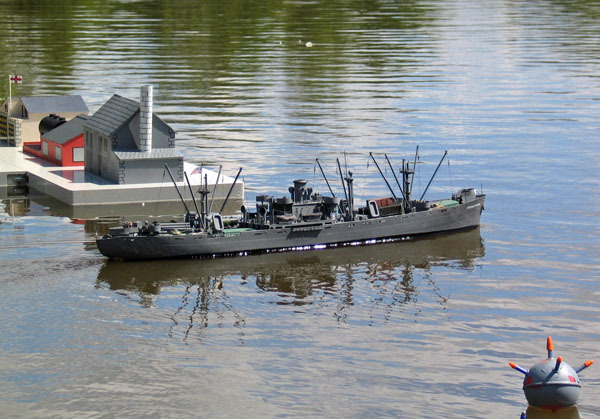 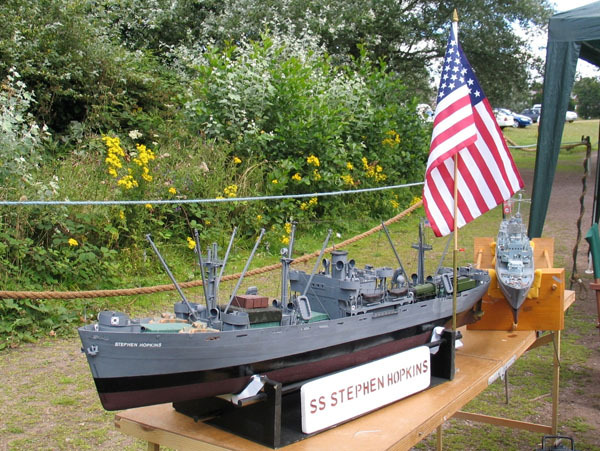 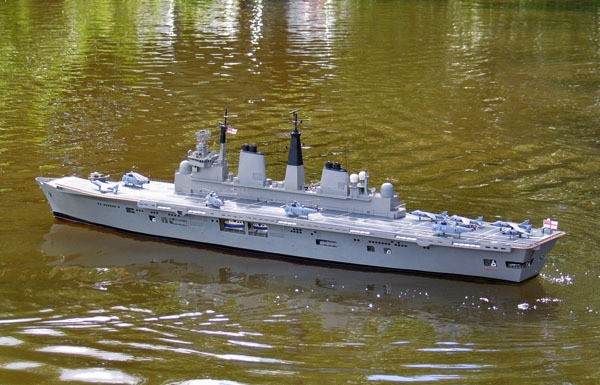 Its a working model and Dave believes the hull is built up from card covered with resin. 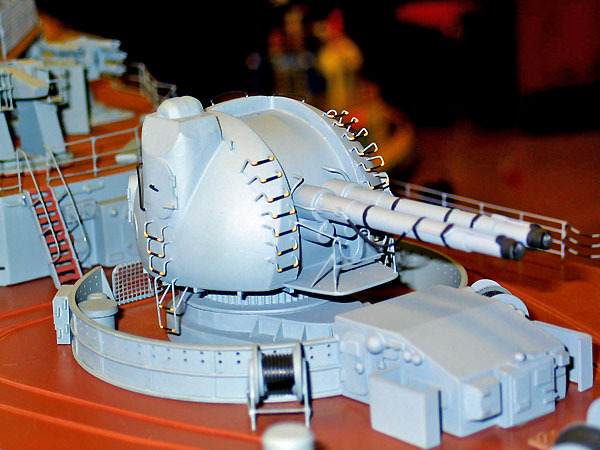 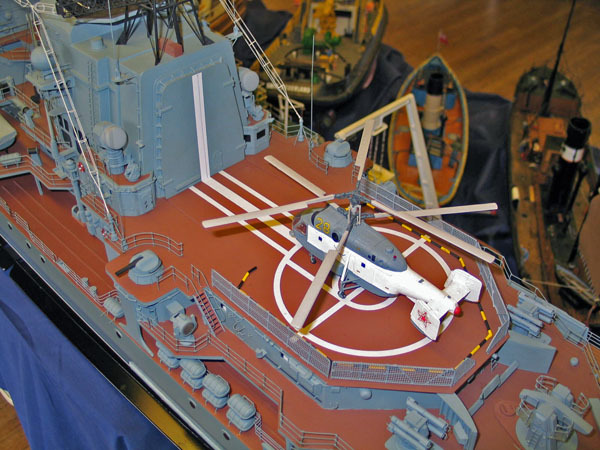 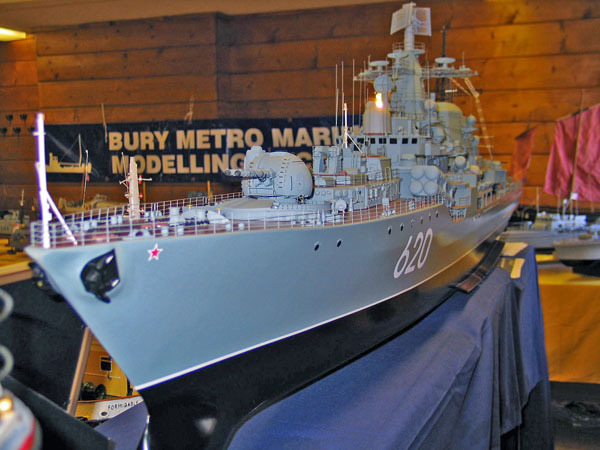 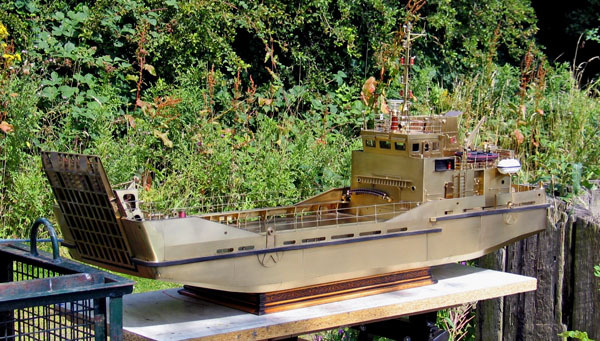 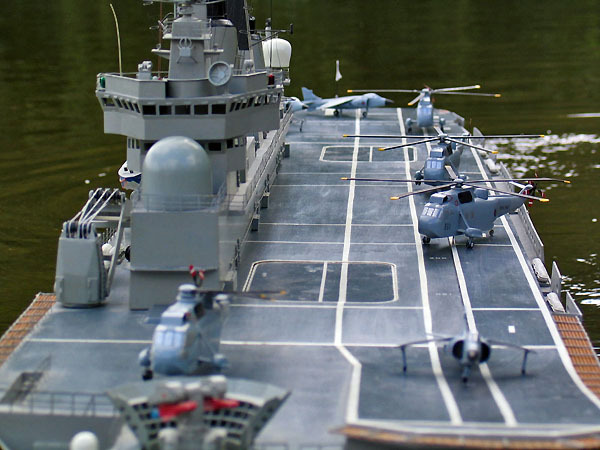 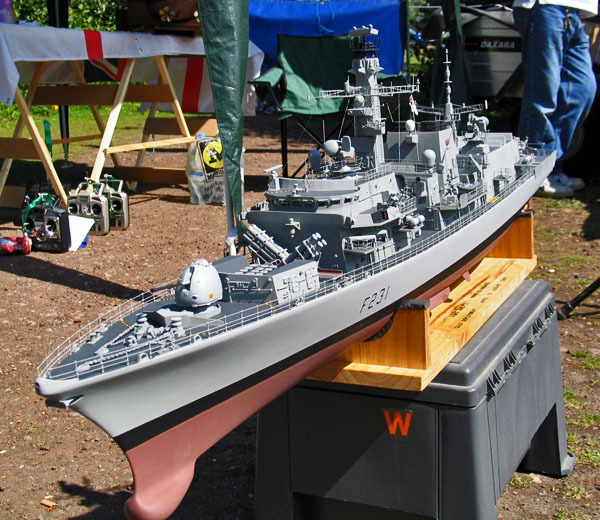 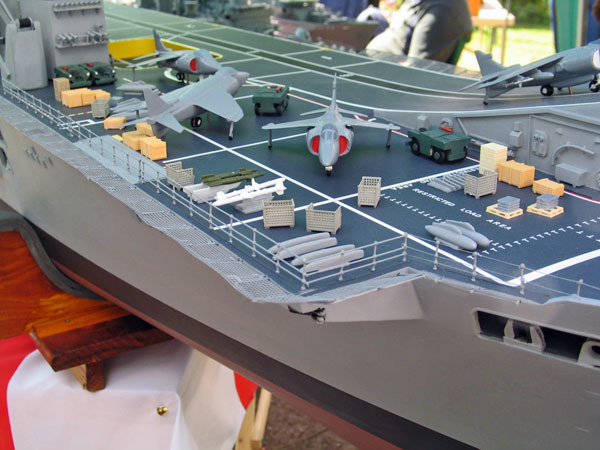 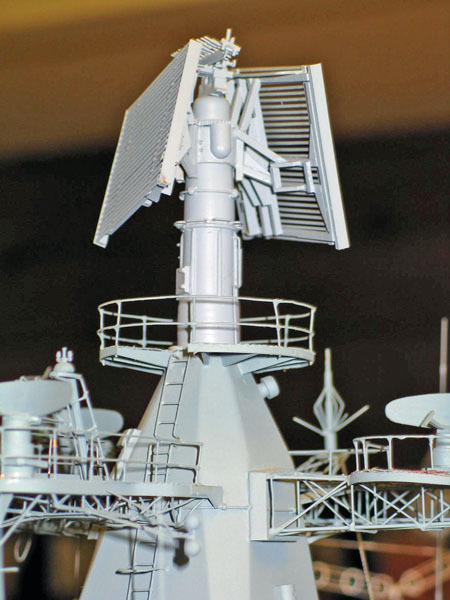 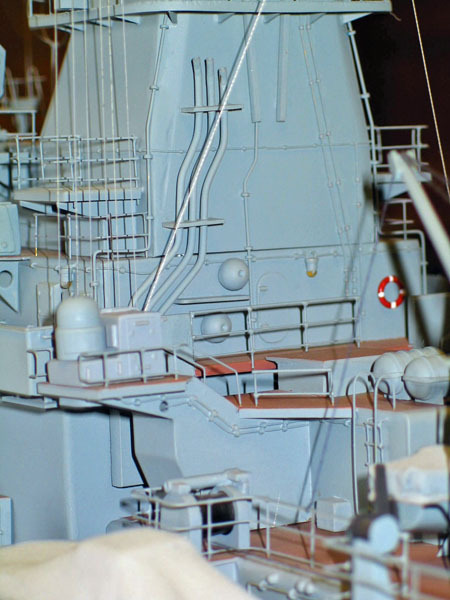 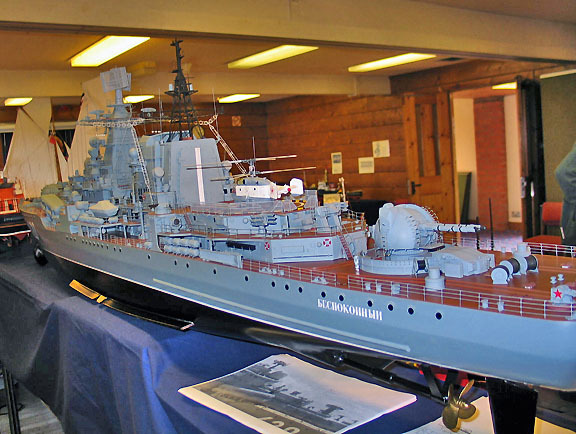 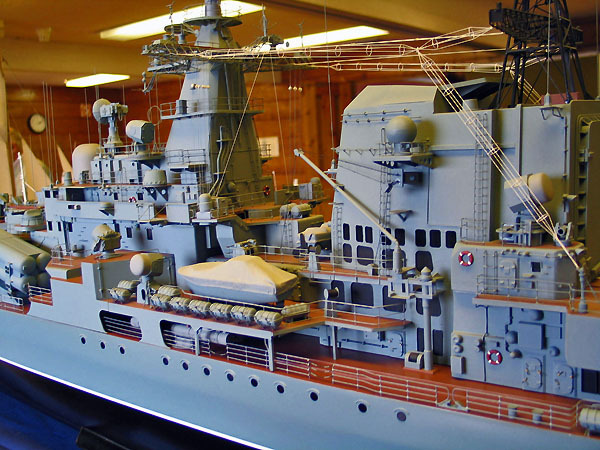 Mr. Motyaka is presently working on the Udaloy 2 calss destroyer Admiral Chabenenko at 1:72 scale .